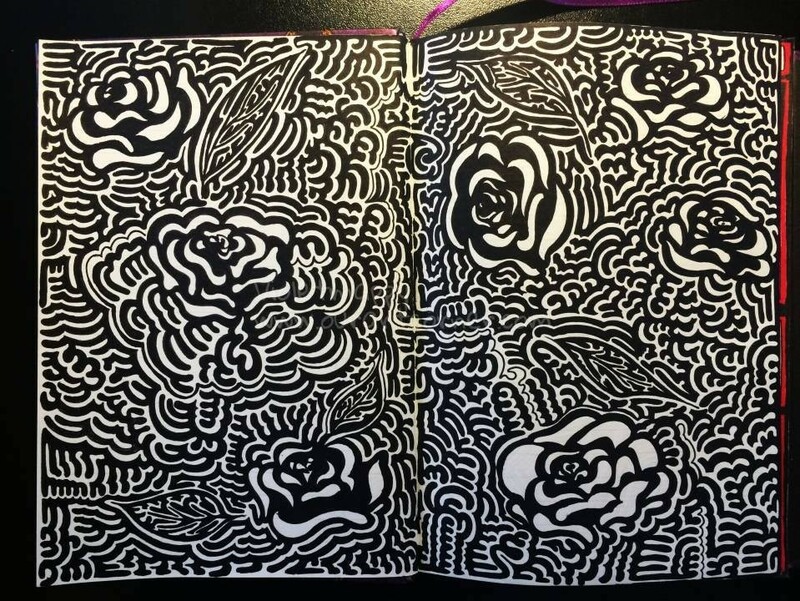 Black ink on a sketchbook, what do you see in it??? Amazing. If you look at it for a long time it almost looks like it's moving. I see roses! I love the maze! Nice work, good details !